Eureka, Humboldt's county seat, draws a lot of homeless to the city, which seems natural, for here are the services offered to those in need of them (stating this does not ignore the need in other communities of the county). As a disabled individual who depends on a mobility device, looking for housing has been a problem. Going back to 1981, searching for a place to live being single and on Supplemental Security Insurance (SSI) and State Supplemental Program (SSP) was very difficult. 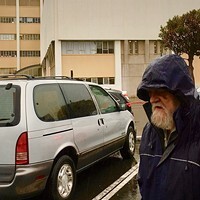 At the time, searching the homeless centers in our area, none could provide the space needed. I lived in a motel and struggled to find a room I could use, for 90 percent of my SSI/SSP monthly income. I came to Eureka for an opportunity at employment and advancing personal goals, as many do. Even then, as it is today, local homeless shelters are very limited in meeting the needs of those dependent on mobility devices (wheelchairs), those considered to be severely disabled. Even after the Americans with Disabilities Act (ADA) was passed, it really has not changed. They provide a place for the disabled who need special accommodations (because of the chair) but are filled with individuals who have other disabilities not needing the extra accommodations. This includes many housing programs for long-term rental needs. One cannot argue with the policy local shelters and housing programs have. They follow the law by placing someone with a disability, any kind of a disability, into designated sites for individuals with disabilities. The problem with this policy is that when the individual with a severe disability approaches the shelter, the space designated for the mobility device is taken. Thus, the individual needing an accessible facility either needs to sleep outside (depending on their ability) or find another place to stay. Shelters should have a policy that if a person with disability using a mobility device needs the space for disabled, whoever is in it should be moved to another area, or the shelter should find lodging for the individual using the mobility device. Attending a few meetings and listening the past few years, and most recently returning to work, I never realized how many severely disabled individuals are being turned away from local shelters. They have been told they have no space, the showers are not usable or the restroom is upstairs (some of these issues are being addressed). One individual was told, "You can stay but your care provider cannot stay with you." Why push assistance away? Individuals I refer to now are living in a few local motels that cost 80 to 90 percent of their monthly income (mostly individuals on SSI/SSP or Social Security). These people struggle with the rooms because of the lack of accessibility provided, meals and personal needs and the extremely high cost for the room leaves little to nothing to meet other needs. Being homeless and having a severe disability is a struggle, especially when you discover you are not eligible for many programs because you are single, you have limited resources and need three times one-month's rent to get into a place. Also, these disabled people living in motel rooms are not even part of the biannual homeless Point-in-Time count. 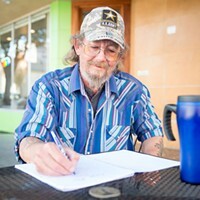 Being familiar with a lot of positive services for our homeless population from Adult Protective Services (APS), many homeless shelters, Food for People, Humboldt Housing and Homeless Coalition and others, there is a part of the population being overlooked: the single disabled person on SSI/SSP on the streets. Also, we must not forget, there are programs offered for single parents with children, which is good. Our county and city claim they are addressing the housing need but, in truth, building housing under the sign "Affordable Housing" for low-income tenants just does not meet the need. 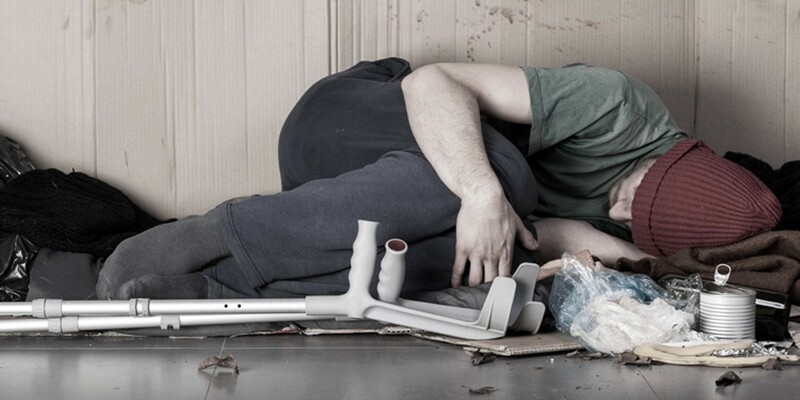 Those who are homeless and qualify as disabled do not qualify financially for the affordable housing (not to mention that units for those using a mobility device are few and far from meeting the need). The only way our community will address the needs of the homeless is to develop housing units for single room occupancy and increase the requirement for accessible rooms for the disabled (go beyond what the law requires). This needs to be done throughout the county! Charles Bean is an advocate for the disabled, currently working at Tri-County Independent Living as a systems change advocate. He lives in Eureka. Have something you want to get off your chest? Think you can help guide and inform public discourse? Then the North Coast Journal wants to hear from you. Contact us at editor@northcoastjournal.com to pitch your column ideas.